The Flash star Candice Patton is really happy about what’s in store for Iris West in season four of the comic book-inspired series. When The CW premieres season four on October 10, 2017, it will be with Patton’s Iris in charge of #TeamFlash. 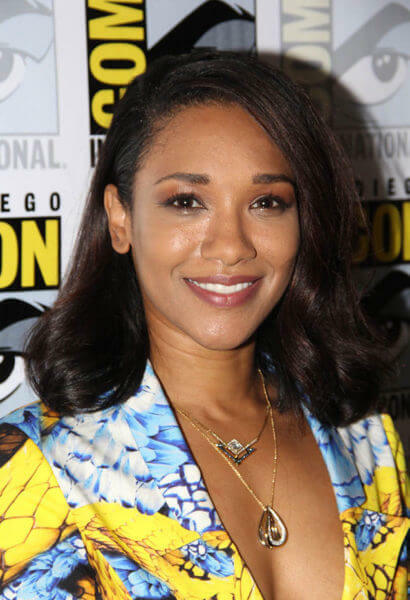 Talking about the upcoming season during our roundtable interview at the 2017 San Diego Comic Con, Patton also discussed the lighter tone of season four and why she believes The Flash needs its human characters in addition to its superheroes. This upcoming season Iris is in charge of Team Flash. How’s she handling that? How is playing this new version of Iris? How does she share the leadership with Barry when he returns? Does she want to remain in a leadership role? Does that mean she’s put her earlier career behind her to focus on this, or is there a struggle between the two? Where do you want to see Iris go? Do you want her to continue to advance as a reporter? Is it important to you that even when other characters get superhero suits and powers that she be the grounded, human part of the them? Season three got really dark. Do you feel a shift toward lightness in season four?